LOVE. I don’t really feel like posting anything inspiring today. My family dog that we’ve had since I was 12 passed away yesterday. According to the veterinary, he had cancer that spread throughout his tiny little body, but no one knew until yesterday when he had trubble walking and breathing. He was a tiny guy, but he had a really big heart! Words can’t describe how much I miss him, rest in peace Zorro! I so much understand how you feel. I went through exactly the same 2 years ago. Goofy was a snow white poodle part of our family since I was a teen. Just keep on loving him. aww. i lost my dog too some while back, really sad. he looked like a very cute dog. I know how you feel, but think that now he is in a better place, with no pain. Rest in peace Zorro! yeah… it’s so sad. I have a dog and love him so much. I completely understand. I am so sorry, I have a dog and she is my sunshine and your zoro was a total cuttie. all the best in the future. I so sorry for your loss.. I just wrote a lot at first.. but it all seemed so not important. Our pets are parts of our families..
hoh what a lovely dog, so sorry for you he passed away. I hope he didn’t have a lot of pain. Ohhh, so sorry girl. But at least you know he is in such a better place right now. Oh no…..I am so sorry:( That must be tough. He was such a cute little guy. nawh. zorro, what a cute name. he’s adorable! much love. x.
i am really sorry he passed away. he really was a beautiful pupp! I’m so sorry he passed away! I totally know how you feel. I completely understand you.I have a dog and I love him more than anything! Aww, honey! I’m so sorry for you. Rest in peace Zorro. 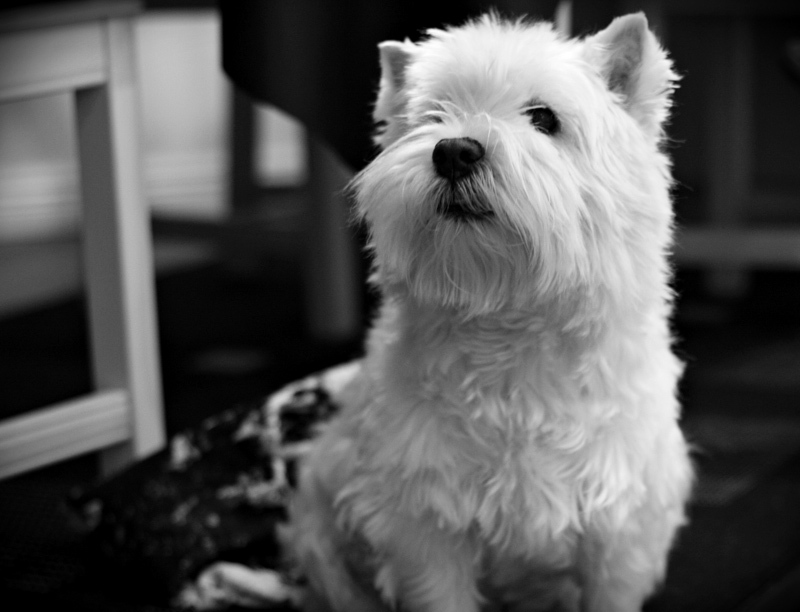 I have a West highland Terrier, too and I can’t image life without her. My hearth cries for you! I sadly know how it feels to lose a beloved pet. Oh no! I have a West Highland White Terrier just like Zorro. She’s 11 years old and I’ve had her since I was 7 years old. I can imagine exactly how you must feel – R.I.P Zorro. I cannot imagine how much pain you must feel right now. I am so sorry. I wish you all the best and all the best to Zorro wherever he might be. :(((( ohhh so sorry babe! I had a dog as yours, and died in christmas :(! I understand what you feel, but think that he’s in dog’s paradise now ! take care. So sorry :[. He seems like the most wonderful dog ever. Oh, I hate losing a pet too, theyâ€™re just like a family member! Lots of support of SLÂ´s Outfits. I am so sorry for your loss. It is amazing how an animal can become such a major part of the family. He was so cute!!! i perfectly understand what you feel now:(( my dog passed over 2 years ago; he was 15:(( but now I think that our dogs are in a better place without pain! Just can relate to you about this post. Our family dog name Candy ( maltese ) whose 7 1/2 yrs old passed away just two days ago ( january 27 ) and we are all grieving most especially my kids. We love her so dearly.May they have rest in peace. I’m so sorry you lost your little Zorro, sending you many hugs! My dog gives you a biggg bigg kiss! i’m sorry! that’s the worst feeling =( i hope you feel better soon. such sad news. my own pup died of cancer 2yrs ago and it happened in a matter of days. it makes it so hard, i still think he’s going to be there when i go to my parents house. my thoughts are with you and yours, it does get better! Im so sorry for your loss! aww im so sorry carolina! losing a pet is heartbreaking but it will get better in time! he was so cuteee! :( I’m dreaming of having dog like him(maltezer). I’m so sorry for you. He was really lovely with his sweet eyes! I am so sorry. He looks so sweet. He wa so cute! I am sure he is having fun wherever he is! It’s an incredibly painful experience to lose someone who gave you unconditional love. What a sweet face! From what I understand about the afterlife, when your soul leaves the body it is in an ecstatic state because it is free. So, let’s hope that Zorro is ecstatically running around and playing in Heaven, since I’m sure he was, already, an angel! My sincere condolences to you and your family on your lost. I recently lost my pet turtle whom I’ve had for over 15 years and it’s sad… a pet is as much a family member as any human and a loss is a loss… hugs to you .. He was adorable. So sorry for your loss. :( my heart aches when any dog dies, but especially so when it’s a Westie. They are the most loving and warm-hearted dogs ever. I’m sorry for your loss. My dog passed away almost 4 years ago and I still miss him. Hi Carolina I’m a italian girl…I’m sorry for you…I have the same dog he’s name is Birillo he’s 14…in this period he have some important problems…He is like a brother for me..so I can understand you.. He looks like he was an amazing little dog! Aaahw I feel really sorry for you, I know the feeling..
gosh, i know you are so sad right now. i have a dog too and i dont know what should i do if one day he passed away too. RIP! Animals can be such an addition to your live. Cherish every moment you had with him. aww thats terrible, poor lil guy! my cat passed away just before chirstmas. i had to put her down after her spine gave up on her. i know how you feel, its hard, i still miss my cat all the time. i hope you start to feel better soon. Sorry for your loss hon. My family dog of 14 yrs passed away suddenly and you never quite realise how much they are part of your life until they’re gone. That is way too sad…..I feel for you…. =( He is now in dog’s heaven! I’m so, so sorry for the loss of your sweet pup…much love and rest in peace little Zorro! I have one just like him, they really look the same. He`s seven years old and I also got him when I was 12. He means more then words could say, I know just how you feel. He looks lovely. Love. Oh no. I am so sorry to hear that. He was too cute and I am sure you have great memories of him to hold on to. i know how you are feeling! i have lost my doggy some time back me too! So sorry to hear about your loss… Take care hun! I’m so sorry for your loss. :( 2 of my 3 dogs died the same way… no chance to say goodbye. aw , that’s so sad ! sorry for your loss. will be thinking of you and your family today..
I’m so sorry to hear that..I have a little white dog as well and it breaks my heart to think about that happening to him one day. May the Lord be with you and your family…take care. So sorry to hear. I have a Westie right now, she’s 13. my heart goes out to you and Zorro! I’ve got a west highland too,they’re really sweet. I’m sorry to hear that. He’s dogie heaven.